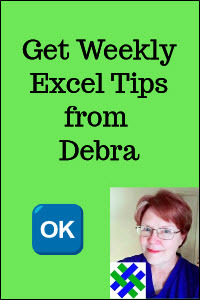 To create an Excel survey template, you can use the Options Button controls from the Forms toolbar. Do this manually, or use the sample code from this tutorial, to create it programmatically. Thanks to Dave Peterson, who wrote this technique. 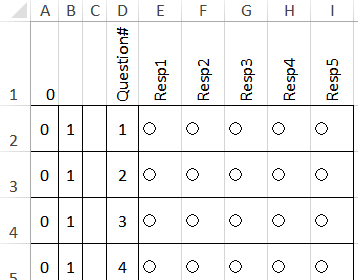 Use option button groups on a worksheet, to collect survey responses. Weight the questions, and calculate the total score. 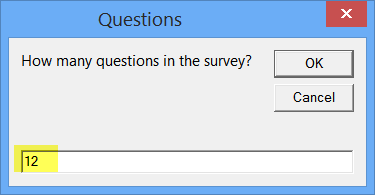 The sample file for this tutorial has three survey examples, and the instructions are shown below. The VBA code for Survey Form 1 is also shown below, and code for the other surveys is in the sample file. To save time when creating a survey form, you can use programming to add the text, option buttons, and formulas. 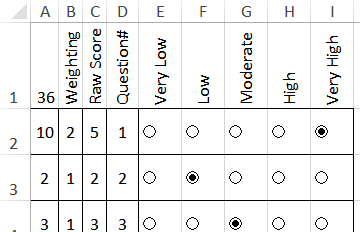 This sample survey calculates a total score, based on the response numbers (1 to 5), and the scores can be weighted. Copy the Survey 1 code onto a regular worksheet module in your workbook. Select the SetupSurvey macro in the list, and click Run. 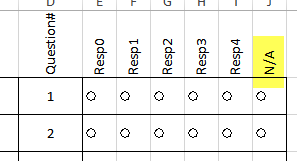 Weighting in column B can be changed from 1 to any value. 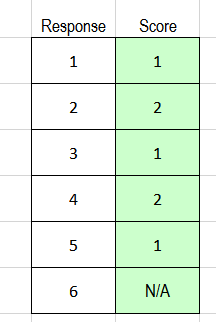 To clear a selected option, delete the score in column C for that row. Copy the following code into a regular code module in a workbook. 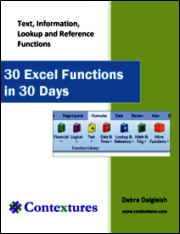 It can be stored in the same file as the survey, or a different workbook. Then, select the sheet where you want the survey, and run the code once, to create the survey template. Modifications: You can change the number of Responses (maxBtns) and the number of questions. The number of response headings must match the maxBtns number, so add or remove headings if necessary. Run this code once, to set up the survey with questions and option buttons. & NumberOfQuestions + 1 & ")"
Survey Form 2 is similar to Survey Form 1, but the setup macro prompts you for the number of questions -- you don't have to modify that setting in the code. This survey subtracts 1 from the option button values, to create scores from 0 to 4. It also has an "N/A" response. Survey Form 3 is similar to Survey Form 2 -- the setup macro prompts you for the number of questions, and it 5 responses with values, and an "N/A" response. You can assign a score to each response value, in a lookup table. Click here to download the zipped sample survey template. The zipped file is in xlsx format, and contains macros. All three variations of the Survey Form are in the sample file, on separate sheets.